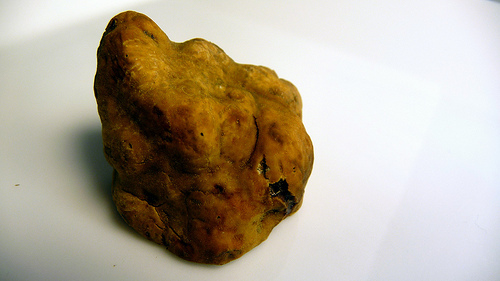 Truffles and wine are gems of the Piemonte region of Italy. From the end of September thru mid-November events are held in Alba to honor the White version of these prized tubers. This festival is in its 85th year and is jam-packed with events. If you’re looking for an experience combining food, wine and folklore, you will not be disappointed. 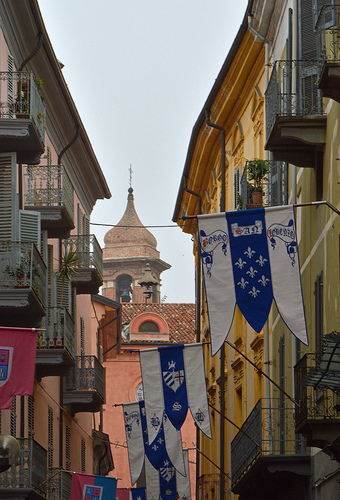 Alba is in the area of the Piemonte known as the Langhe; displays at the festival boast not only the excellent truffles and wine but the cheeses, egg pastas and sweets common to this area. During the festival there is a truffle market at Cortile della Maddalena each weekend where you can smell and buy truffles from reputable vendors. The truffles are hunted by dogs who smell and scratch just under the surface to alert their handlers to their find. Truffles are not cheap and are used in a variety of ways in the kitchen. The Alba International Truffle Fair is as entertaining as it is tasty. Food and folklore events are scheduled each weekend to fill your belly and your spirit. The folklore events started September 26th with The Investiture of Podesta; participants in medieval costumes re-enacting tributes to the Lady of Alba and the Podesta (magistrate who governs the city). 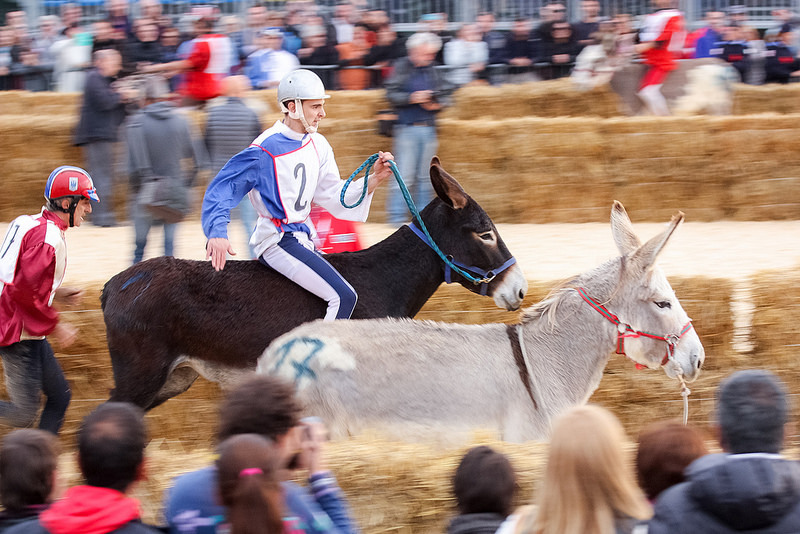 On October 4th the medieval theme continued with a donkey palio, the “Palio degli Asini”, run by the 9 districts of Alba in a traditional mock of Asti’s horse palio. This weekend each district will transport you back to medieval times with games and re-enactments staged throughout. 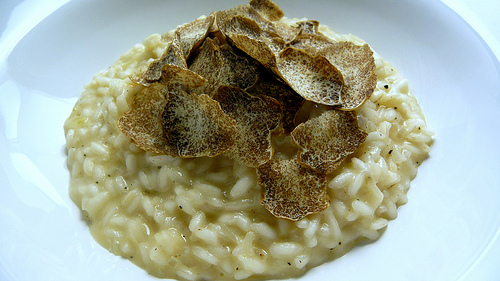 The highlight of the weekend is the “Baccanale del Tartufo”; each district uses the truffle theme to develop a delicious menu unique to them. Review the menu and pick which of the 9 districts whets your tastebuds and partake in a truffle themed dinner (the menu is posted below). To learn about the other events and tastings offered this weekend and though mid-November at the festival click on the link below and select “Calendar”. Mangia bene!